Sitting president and presidential candidate Abdel Fattah al-Sisi wins the 2018 presidential elections securing the second term of presidency in Egypt with 97 percent percent of total votes, according to Egypt’s National Elections Authority (NEA). 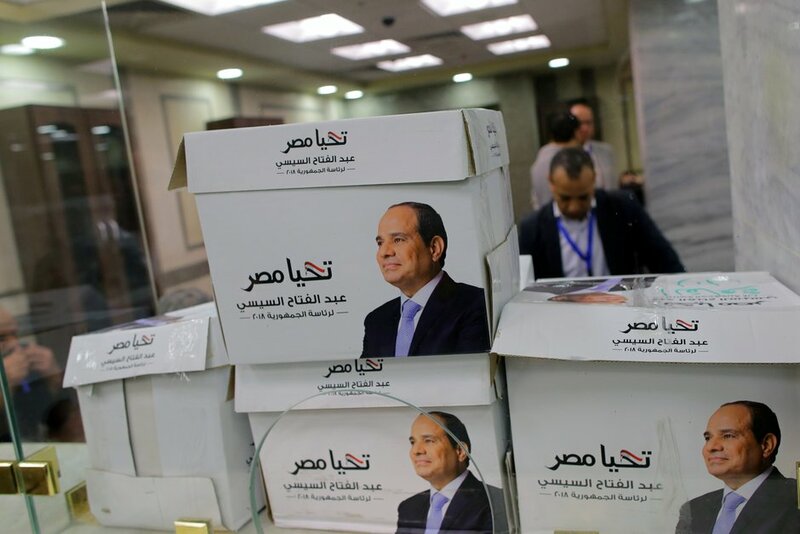 Al-Sisi won 21,835,378 of the votes – or 97.08 percent – of valid votes, according to NEA. Al-Ghad Party Leader Moussa Mostafa Moussa won 656,534 votes of total votes and the number of invalid ballots reached 1,762,231 votes. Voters in Egypt cast their votes over the period of three days between 26 and 28 March and Egyptians abroad voted on 16 March until 18 March. A number of candidates have attempted to run for the 2018 presidential race. Rights lawyer and previous presidential candidate Khaled Ali announced intentions to run for president in November; however, he withdrew his presidential bid in January for the lack of a democratic process citing acts of mobilizing people in administrative offices to support al-Sisi in exchange for money. Army Chief of Staff Sami Anan announced in a video statement in January his intentions to run for the presidency. Shortly after, he was arrested for alleged violations of military law and the campaign was suspended. Former Prime Minister Ahmed Shafiq announced that he no longer intends to run in Egypt’s upcoming presidential elections. Colonel Ahmed Konswa announced that he is running for the 2018 presidential elections. Konswa was arrested on charges of violating rules of the military and expressing political opinions and he was sentenced to six years in prison. Member of Parliment (MP) Mortada Mansour, also, announced intentions to run for president, but withdrew from the presidential race and abstained from giving any reasons.